What if I told you that I have the receipt for a Skin friendly salad dressing which you can DIY in 2 minutes? Did you know most salad dressings contain so much bad stuff, that your salad is not healthy anymore? Some salads contain up to 1200 calories, 100 gram of fat and more sodium than a big bag of potato chips, caused mainly by the dressing. This is not only bad for your health, but isn’t good for your skin either. Today I will give you a recipe for a delicious Mustard-Honey salad dressing that is good for your skin and improves digesting your food. 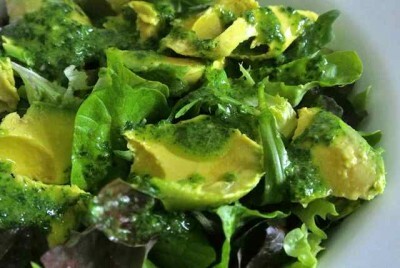 You can prepare this dressing in less than 2 minutes. Why buy stuff if you can Do It Yourself? 6) Stir it up and add it to your favorite salad!